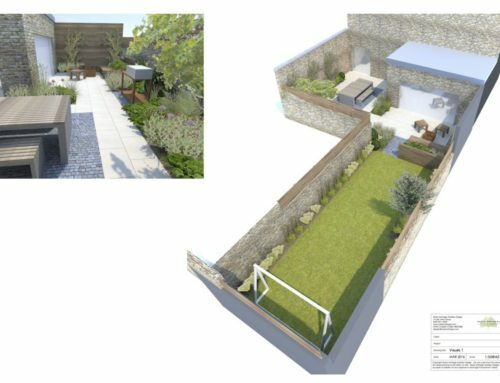 A beautiful garden to match the renovation of a beautiful townhouse. 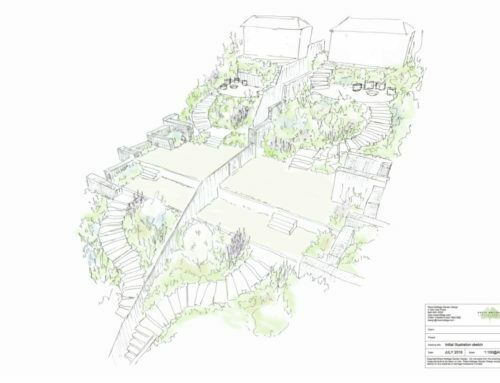 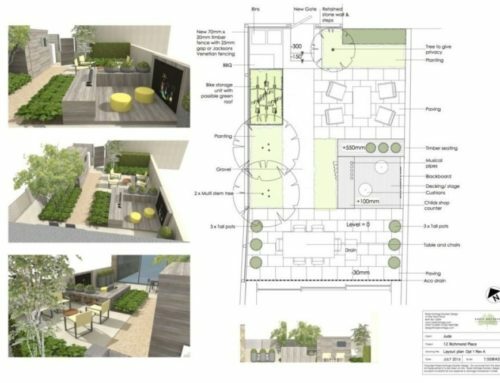 The garden is on a slope and needed to provide a series of garden rooms, with space at the back for a shed and storage as well as a small nuttery, lawn and formal garden. 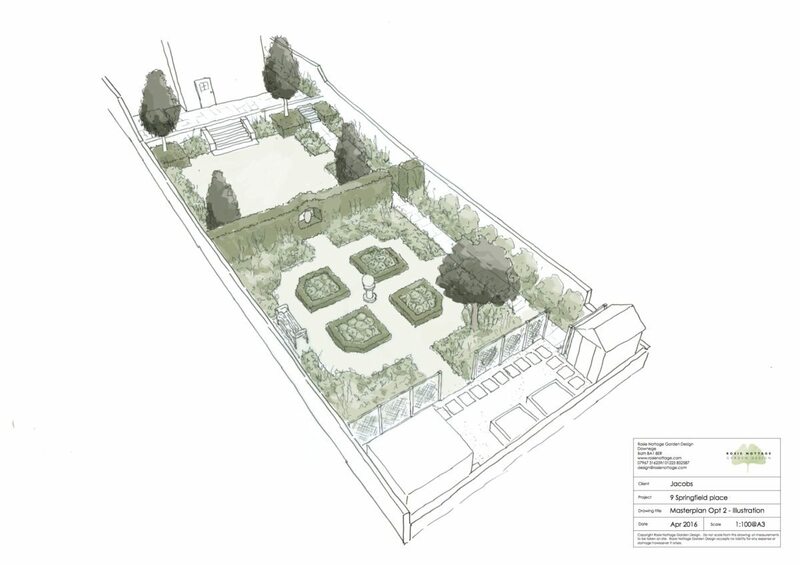 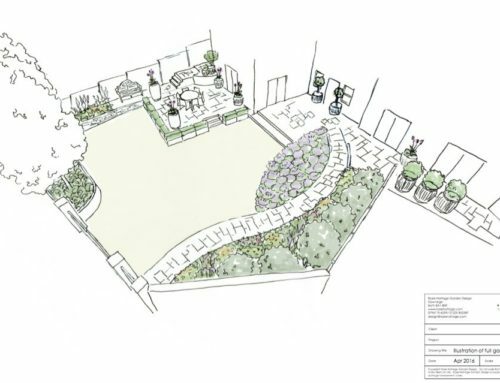 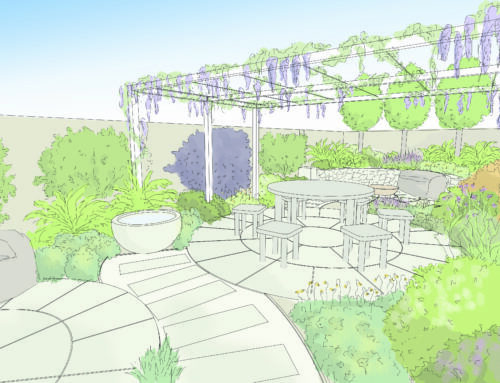 The centre of the garden is divided with a new hedge which will have a window in it to glimpse the garden beyond.